Text Shopping – Peace of Mind While Shopping! Text Shopping – Peace of Mind While Shopping! A New Way of Shopping, it’s Revolutionary! It feels like Summer is nearly here, and perhaps perfect timing to introduce my newest Service. More and more I find myself being sent text messages / photos or videos from clients wanting my approval on garments that they are looking at purchasing but just aren’t quite sure if it suits them, if it will work for a particular occasion or if it will work with a particular garment they have. So, to be by your side every step of the way my new service is “text shopping”. So, I realise there is a need for this extra help and support. This service is available to my existing clients, those that have had 2+ Styling Services done with me. 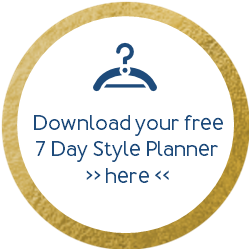 This includes a Style File, Colour Analysis, Wardrobe Audit or Personal Shopping. It does not take away the need for our one on one shopping excursions twice yearly and express shops in between but it is simply an add on allowing me to be by your side for an impulsive shop that you may find yourself doing. If you would love to take up this offer on Text Shopping and need to book a Service first, click here. If you are an existing client and have worked with me and done 2+ Styling Services click here to book your Text Shopping. With each text you will receive my thoughts on appropriateness along with an added thought if necessary. Every response is a text. Having recently returned from an amazing trip to New York and The Caribbean, my head was continuously turning, soaking up fashion ideas in one of The Worlds most exciting fashion capitals. You certainly do get to see it all in New York and the added bonus was it was still warm so summer clothes were being worn and winter was in full force in the shops. I’m really looking forward to catching up with you all for some Spring / Summer shopping. Simply drop me a message to book a spring/summer shop with me.